Image Website & Graphic Design Studio have been a professional part of most Mount Annan and surrounding area businesses since 2001. From the initial call to us you will be at ease as we don’t try to confuse you with web coding jargon, we speak to you in a way you will understand what we will and can do. We lead the industry in design and this is what will get you noticed, not only by customers but also by search engines. “All” of our websites are designed for you, sadly many so called website designers buy a template site – add your logo, photos and may change a colour or two and charge you for something that has cost them peanuts. These template sites are rubbish, you share the same layout with hundreds if not thousands of others and search engines wont rank you. 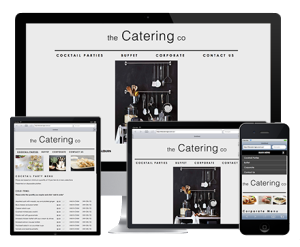 Our websites are completely designed to suit you and your business. Once we discuss your requirements, we will design a website and submit the draft to you. From here we then make changes if you want them or we start on turning the draft in to a fully functional website. Whilst we are developing your website we will supply you with a link so that you can watch the work progress of your website each day. When your site is completely developed and ready to be published (normally 8-14 days for a standard site) we add all of your information, wording and photos. Register and verify your site with search engines, add your web app and then we publish your site, ready to take on the world. Once your site is live we continue to monitor it’s progressin search engines and will keep you updated on the progress of its ranking. It’s this level of professional service that we have been providing for near 15 years that has seen us win and be nominated for numerous awards for professional business services in our local community. If you would like more information, please call us on (02) 4647 3111 or email us for immediate help and advice.